When I read histories of the United States Supreme Court one matter that jumps off the page is the length of oral arguments before the John Marshall Court in the early part of the nineteenth century. 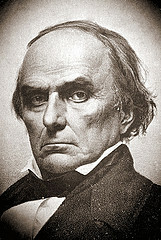 I have read of arguments by Daniel Webster and others which went on for days. I even read an account which stated that Webster and others argued one case for ten days! I was reminded of this when the Supreme Court announced it would hear three days of oral argument on the challenges to the Patient Protection and Affordable Care Act which requires that beginning in 2014 virtually every person must obtain a minimum amount of health insurance or pay a tax penalty. Oral argument will be heard on "Obamacare" on March 26, 27 and 28, and a decision is expected by the end of June--just as the presidential race becomes more intense. The hours of oral argument scheduled by the Court on the constitutionality of the health care law serve, in my view, to illustrate the importance of appellate oral argument. As appellate court dockets have grown, less and less time has been allotted for oral argument, and many attorneys consider oral argument a waste of time. I strongly disagree. However brief the time a court allots for oral argument, attorneys--particularly those representing an appellant--should not forego an appearance. It is the only opportunity to address concerns appellate judges may have. In my experience judges have not been hesitent to use the opportunity to clarify or probe matters with the attorneys, and different judges have said that oral argument changes their mind five to fifteen per cent of the time. I only complain about oral argument when a court decides a case on a point the judges did not raise during the argument and which, therefore, an attorney had no opportunity to address.